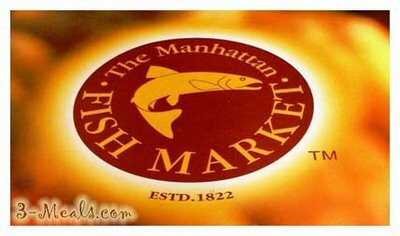 I've always thought Manhattan Fish Market is from Manhattan, New York. Heck, I was wrong ! This bugger is actually a "made-in-Malaysia" product !!! I've tried googling for it, this is the only result ... http://www.manhattanfishmarket.com/ and after some extensive digging, I managed to find out more. 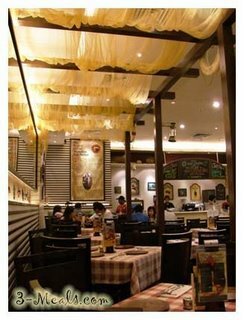 Revenue Valley Sdn Bhd, which owns home-grown restaurants Manhattan Fish Market and Hainan Kopitiam set up its first Manhattan Fish Market in Malaysia at the Mid Valley Megamall in November 2002 and now owns a total of 13 outlets, mainly in the Klang Valley, and one each in Singapore and Bangkok. 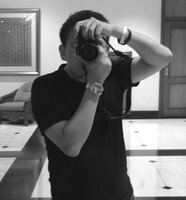 The Manhattan Fish Market, a casual dining seafood restaurant, was founded by Dr Jeffrey Goh, a dentist-turned-politician and businessman, and a Singaporean partner. 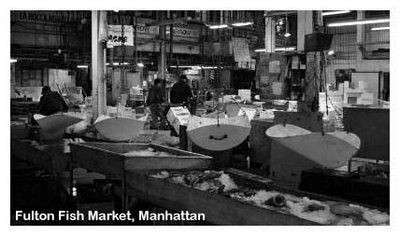 Derived from the legendary Fulton Market (largest and oldest fish market in Manhattan) established since 1822 in Manhattan, this Malaysian chain is similar in many ways, namely in terms of the quality and freshness of its seafood. Interior decoratives were cosy, and waiters were friendly eagerly waiting to serve you the best seafood in town. After some menu browsing and recommendations from the ever grinning waiter, we put in our orders. 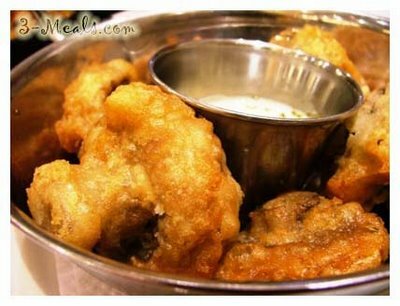 Our food arrived ina zip and with our seemed like bottomless pit stomach, we savored our Fried Country Mushrooms ($9.90) with delight. The giant-sized golden-brown juicy mushrooms were coated with a batter so crunchy, you just can't stop yourself from reaching for another one. 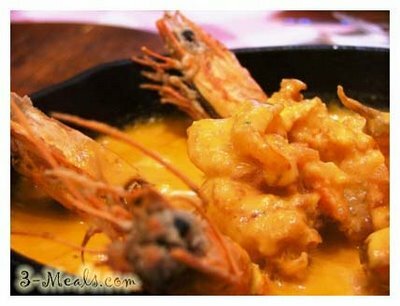 Then came the Sizzing Louisiana Prawn, huge whole prawns - dipped in creamy Luisiana shrimp sauce ... deeeelicious ! 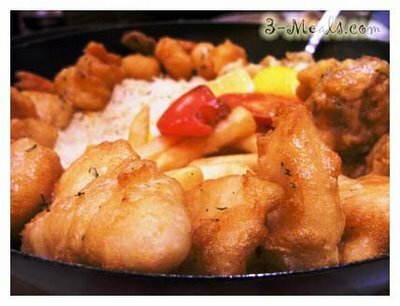 Our main dish was the Fisherman's Giant Fried Platter for 2, deep-fried fish fillet, calamari, mushrooms and fried shrimps served with chips and garlic rice. The melted, sweet and sticky sauce complemented the sliced prawns. Although the menu did specify that is was a 2 person course, 3 of us could share the meal and end up overstuffed. Then again, we are probably small eaters. 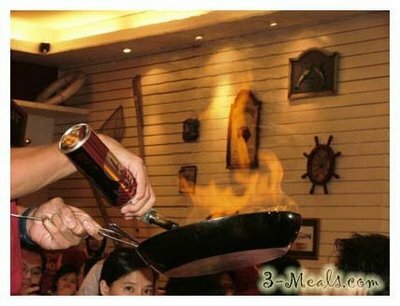 This is a must-try for seafood lovers who would like to sample a variety of items. Other specialities you can order are Baked Pacific Dory, prepared with special butter plum sauce. Since the fillet wasn't fried, the freshness of the fish really stood out, and the understated sweetness of the plum sauce helped bring out the wholesomeness of the dish. The garlic rice was delicious: Non-greasy, firm and very tasty. Accepted Cards: : Of course ! Master? Visa? Diners?